Children especially girls are fascinated with their dolls. They play their dolls without any boredom because of the different outfits and accessories they can put.Printable paper doll is an alternative style different from the real doll but became famous during the old times. 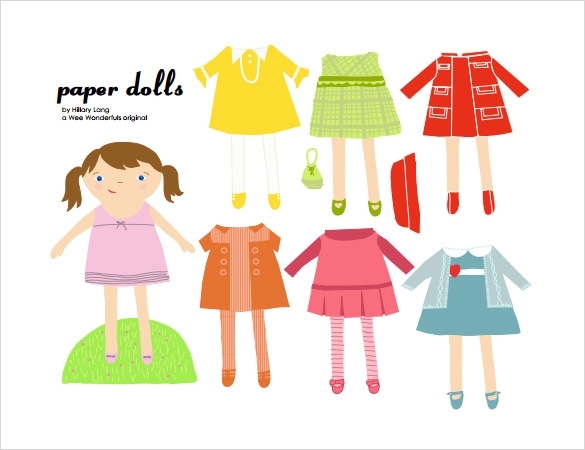 Paper doll Template is a tool that provides diverse dolls that can be utilized by children for playing. The examples in the template are downloadable in Word or PDF format. These samples are free and there are a lot to choose from depending on the type of doll, paper colors and layout preference. It is a creative and resourceful way to provide your child in an affordable play doll. 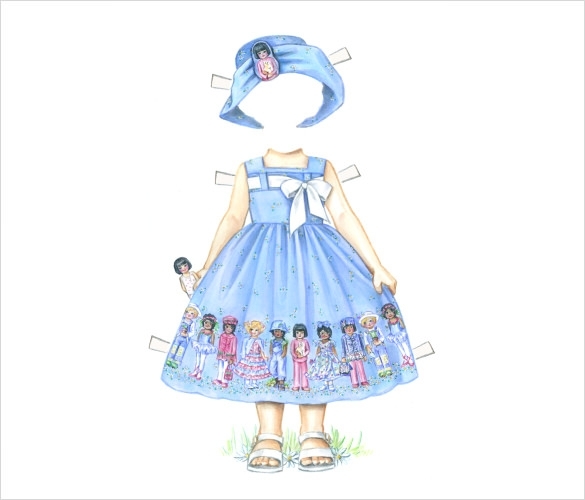 The current paper doll template can provide us with one doll and a number of different outfits that can be put on the doll from time to time. This template can also instigate the creative sparks within a child. This template is very good for practicing simple art and craft with children of very young age. 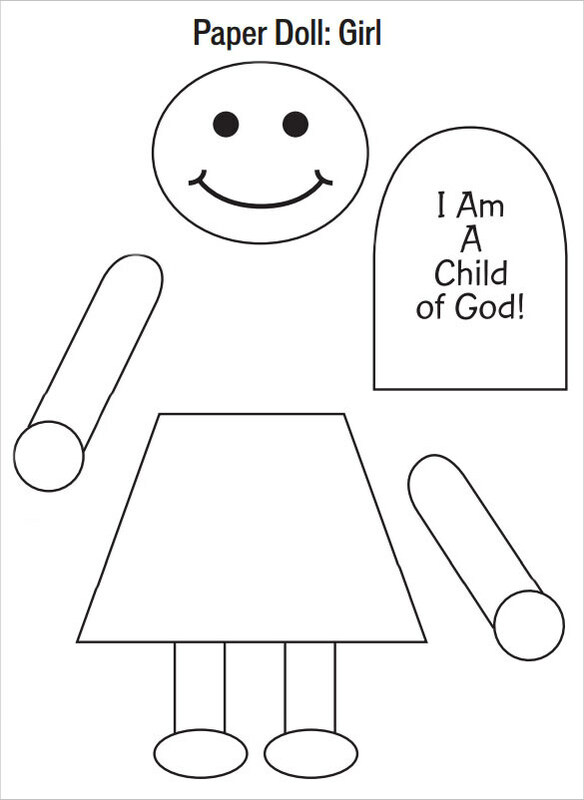 Schools play houses and even parents can make a good use of this paper doll template and can involve the child in a good creative practice. 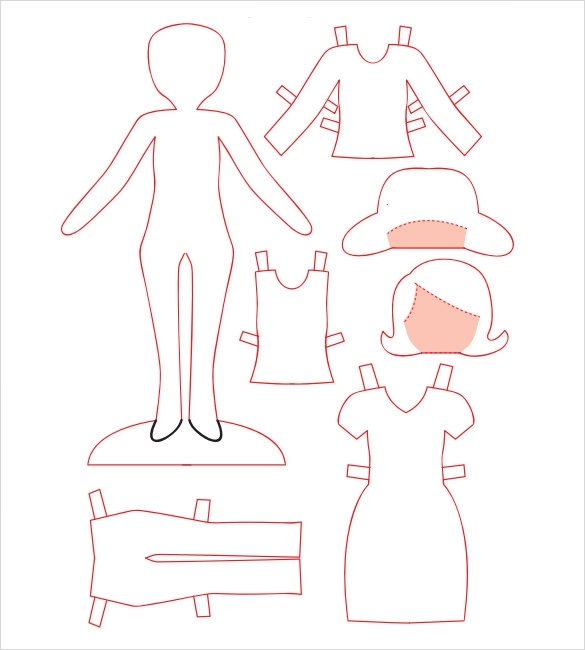 The current design layout has a beautiful drawing of a paper doll. Here the maker has provided a number of other outfits that can be used to dress up the doll in different fashions every time. The design is one that clearly points out at all the possible parts and the portions of the doll. 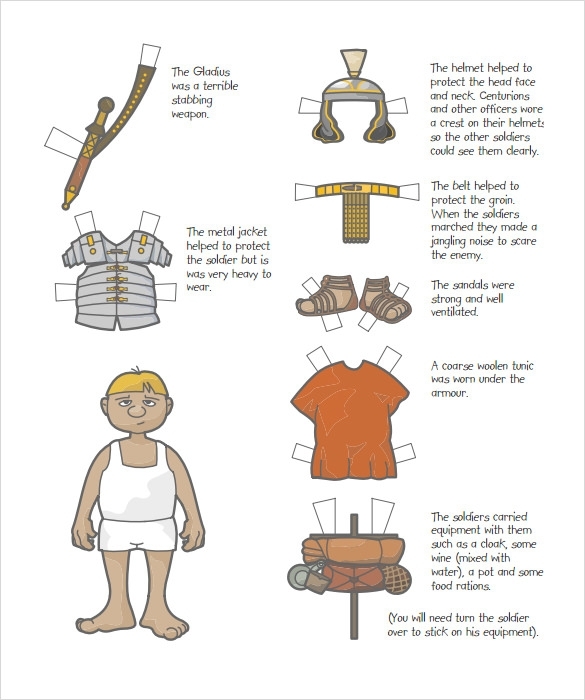 The design is one that can be used to teach the children that how should they go about making own paper dolls. 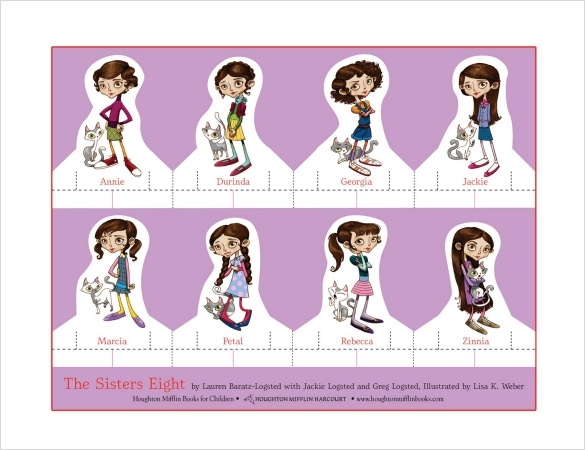 What are the Paper Doll Templates? Dolls are objects of great enthusiasm for children, especially girls. Playing with them is a great fun. However what is also more interesting is the different ways in which these dolls can be made. In this context we see that the templates speak of the various techniques that can be employed in the task of making these dolls. All the different stages and the steps can be very easily and simply mentioned. Who can use the Paper Doll Templates? These templates can be used by teachers and also by the parents so that their children can new toys and also they can share the fun to making something creative and beautiful. The templates can be used to create very beautiful dolls and arts and craft products. The templates can be easily drawn from the internet, since they can be received with simple searches. As a result of the same they can be attained by anybody. These templates contains very simple and clear instructions as to how such dolls can be made so that children can get new toys and can also learn themselves of how to make such toys. The templates are provided with a great resolution range. This indicates at the fact that the user can get very good quality printouts from them. The templates are provided with super responsive features. These features ensure that the user can work on the current templates it ease and speed. These features also ensure that the users can use them even if they do not have special trainings of doing so. The templates can be great supports for the professionals and also the general people. 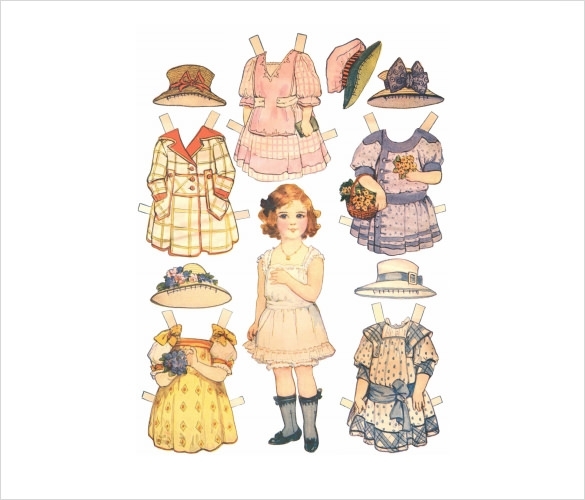 The paper doll templates are formats that are easily attainable from the internet pages. The themes are highly navigable and can be elemental in teaching great art and craft to young children. Parents and teachers can effectively employ them for the benefit of the children.